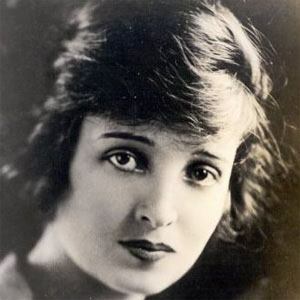 American actress who appeared in over 200 films during the 1910s and 1920s. She acted in both the silent and sound versions of 'The Green Goddess'. He first role was in the 1910 production of 'The Deacon's Daughter'. She was referred to as "The Madonna of the Screen" due to her unique features and strong screen presence. She married three times, having two children by two different husbands. She is referenced in an episode of Boardwalk Empire, which stars Steve Buscemi.